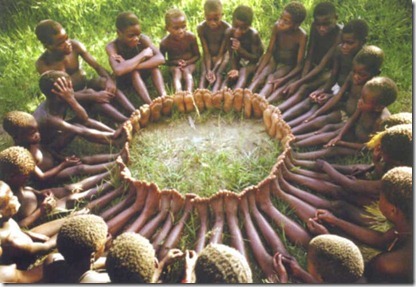 An anthropologist proposed a game to children of an African tribe. He put a basket full of fruits under a tree and he told children that the one who reaches it first will win the sweet fruits. When he told them to run, they all took each other by the hand and ran together, then sat down together to share their sweets. When he asked them why they had ran like that, while one of them could have all the fruits to himself, they said: UBUNTU!